Large mail rooms and home offices alike have one thing in common, the need for reliable and accurate digital postal scales. No matter what your needs are, our line of USPS Postal Scales will fit your shipping requirements. 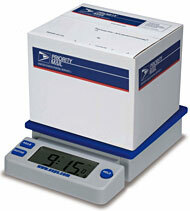 Our USPS Postal Scales are made of high quality materials to ensure accurate and reliable results. Whether you need to weigh large parcels or an envelope, we have the right USPS Postal Scales for you. Give us a call today to assist you in your scale selection. You can also look for our gauges at your local retailer, or order them directly from our online store. Copyright © 2016 Measurement Ltd., Inc.